The DC design team were delighted to be part of the official Sydney launch of the new Australian furniture collection, NAU by Cult Design. The evening was hosted by the editor of Design Anthology magazine director Suzy Annetta who conducted an exclusive Q&A between two of the four Nau collection designers, Adam Goodrum and Adam Cornish as well as Cult Design founder and director, Richard Munao. 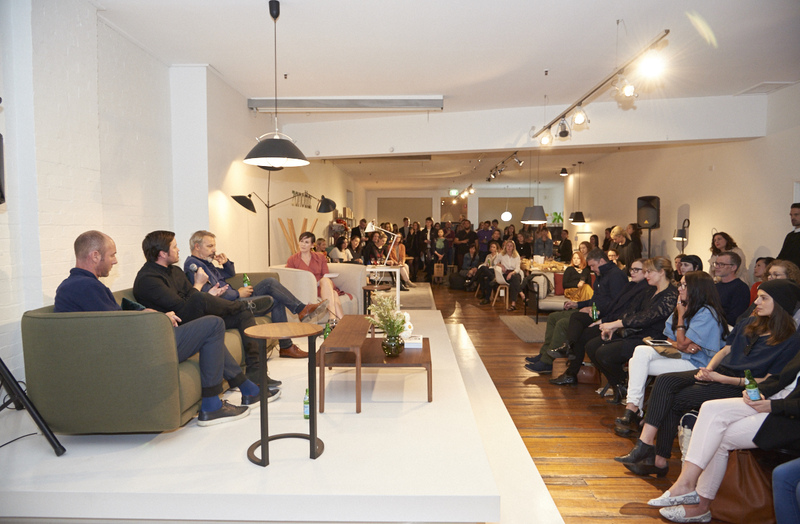 The discussion focussed on the primary objective for this collection being to create a range of furniture designed and manufactured by a group of Australia’s leading product designers and craftsmen. The evening provided insight into the design and production process as well as an opportunity to interact with the collection. As Australian designers we are particularly excited about this new collection as it represents a significant step forward in showcasing local design and quality manufacture on a global stage.